FRESHLY painted, installed carpet, stainless kitchen appliances. MOVE IN READY in time for school! Lots of trees around with a conservation strip in back and quiet park in front. Lovely home with volume ceilings, arched doorways, tray ceiling in master, crown molding, plantation shutters, recessed lighting, screened lanai, gas fireplace, gas water heater, water softener, 42'' cherry kitchen cabinets, oversized garage. In gated area of Palencia. Fees include a country club lifestyle including multiple pools, exercise room and programs, multiple tennis courts, ball fields, playgrounds, walking trails, parks throughout. Palencia grammar school is a mere 1.2 miles away. Convenient to Jacksonville and St. Augustine just off of US1. I-95 is 5 miles west. Vilano Beach 13 miles south. OCEAN VIEWS from home and deck. Main living on 2nd floor for OCEAN views and breezes. Master on 2nd floor. 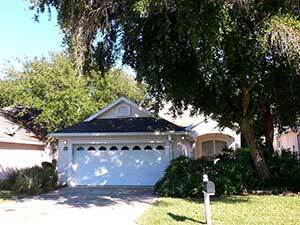 Two bedrooms, florida room (w/wet bar) and full bath on ground level. DECORATIVE raised ceilings throughout. TILE floors in kitchen and great room, carpet in bedrooms, WASHER & DRYER & sink in laundry room. Access to community amenities. GATED, BEACH access pavilion, POOL, hot tub, 2 TENNIS courts, EXERCISE room, play ground. Available for rent from Oct. 1 - May 31, minimum 6 months. UPDATED patio home two blocks from the BEACH ACCESS. All WOOD and TILE floors. SILESTONE counters in eat-in kitchen. Vaulted ceiling great room opens to den and brick paver patio. Master 2 sinks, 2 closets, separate tiled shower & soaking tub. Short walk to community POOL, BEACH ACCESS, TENNIS courts, hot tub, EXERCISE room & playground. Rent includes HOA, trash removal and yard care. Washer & dryer included. Between Jacksonville & St. Augustine in SOUTH Ponte Vedra Beach. Home with elite architectural details. 18' tall foyer & gallery with arches, & niches; double step tray ceiling in dining room & master bedroom. Open kitchen to family room & screened lanai, large master suite with walk in closet, lots of counter space & 2 sinks. All main level living except bonus suite. Use of community amenities such as beach access, pool, tennis courts, exercise room. SPACIOUS, open Great Room and Kitchen have OCEAN and INTRA-COASTAL WATERWAY VIEWS on the third floor. ELEVATOR INCLUDED! Master and two bedrooms on second floor. Master suite has two sinks, two closets,separate shower and tub. Two bedrooms share a Bath w/2 sinks. Bedroom and bath on the first floor. Community is GATED and has a BEACH ACCESS and pavilion, POOL, HOT TUB, 2 TENNIS courts, EXERCISE room and PLAY ground. 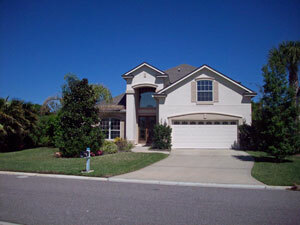 Located between Jacksonville and St. Augustine in South Ponte Vedra Beach. Welcome to the BEACH! Clean, well maintained townhouse viewing marsh. Kitchen and living areas all tiled. Blinds and ceiling fans throughout, newer appliances, A/C and storm door. Private screened lanai. Master suite offers two separate walk in closets and bath vanities. Washer & dryer, basic cable, interior pest control, garbage pick up included. Parking right outside the front door. Enjoy 2 pools and exercise machines. Convenient to downtown St. Augustine, beaches and Outlet Malls. Also for rent. 3 Bedrooms, 2 Full Baths, 1 Half Bath. Very roomy, bright house in gated BEACH community. Three bedrooms on ground floor and fourth or Bonus Room upstairs with an expansive VIEW of the Guana Reserve. HUGE Eat-in kitchen with large pass through to great room. Views of peaceful nature out the back glass doors. Master has TWO closets, separate sinks and soaking tub and shower. Ten foot ceilings throughout ground floor. Yard care, HOA & garbage fees, home & appliance warranty included. Turtle Shores is GATED with security, BEACH pavilion access, POOL, hot tub, 2 TENNIS courts, EXERCISE room, tot lot. Between Ponte Vedra Beach & St. Augustine. Welcome to the BEACH! Updated BEACH cottage just steps to the ocean. Open kitchen to vaulted ceiling great room, NEWER STAINLESS appliances, tile countertops. TILE floors in living areas. Great room opens to A/C sun room viewing PRIVATE woods. Master features custom built in closet, roomy vanity. 2 car garage with laundry hook ups. Gated community with private BEACH ACCESS and pavilion, POOL, hot tub, EXERCISE room, 2 TENNIS courts, tot lot and SECURITY. Closest street to beach access. In South Ponte Vedra Beach 1 mile north of Serenata Beach Club. Welcome to the BEACH! EAST side of A1A direct beach access. Perfect for BEACH getaway, investment, townie. 3 level townhouse for efficiency & views. Ground level 1 car garage & bedroom/bath, 2nd level living, dining, 3rd level 2 bedrooms/2 baths. Recently UPDATED ROOF, wood floors, carpet, kitchen, bathrooms. Onsite POOL, parking. Walk to BEACH, SHOPPING, DINING. On EAST side of Vilano Bridge, across from Publix, quick ride to downtown St. Augustine. In rental program, 3 night minimum stay. Welcome to the BEACH! SPACE for everyone and the BEACH LIFESTYLE! Main living, master suite and 2nd bedroom on ground level. Large family room, 3 bedrooms, 2 baths upstairs. NEW PAINT & CARPET. 3 CAR GARAGE. GRANITE kitchen counters. Master features oversized tub, 2 closets, 2 sinks, volume cathedral ceiling. Decorative windows and ceilings. In GATED community with BEACH ACCESS pavilion, POOL, hot tub, 2 TENNIS courts, exercise room, security. HOA only $128 monthly. Turtle Shores Community with beach access & pavilion, pool, 2 tennis courts, exercise room, play ground. Easy stroll from one story home. Great room with vaulted ceiling & coral front wood burning fireplace. Master Suite with vaulted ceiling, 2 sinks & large walk in closet. Florida room with lots of windows in private back yard. Washer and dryer included. Broker owner. IMMEDIATE OCCUPANCY! $1K off first month's rent if lease by Jan. 31. NEW CARPET & PAINT & A/C! Popular ICI Homes floorplan with OPEN KITCHEN to great room and SOARING 18' ceiling. SPACIOUS Master Suite with roomy closet on first floor, other bedrooms and loft upstairs. One bedroom is bonus room with full bath over the garage. Custom closets and plantation shutters. Corner lot in GATED BEACH COMMUNITY Turtle Shores. Amenities for your use includes BEACH ACCESS, POOL, hot tub, TENNIS courts, playground, exercise room. 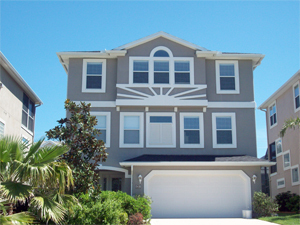 Located between Jacksonville and St. Augustine in SOUTH PONTE VEDRA BEACH. 5 miles north of Vilano Town Center.